To give you the context of the question – all Backendless plans have a limit of API calls/minute. With the free plan the limit is 300, the Cloud 9 plan provides 600 and the Cloud 99 plan offers 1200 API calls/minute. With the Cloud9/99 plans, the limit can be increased by purchasing function packs which add 600 API calls/minute for each purchased pack. The backend monitors and enforces the limit for each minute, that is if you are on the free plan, Backendless will process the first 300 API calls for any given minute and all other calls above the limit during that minute will be rejected. When the volume of the incoming calls reaches 80%, 90% and 100% of the limit, the system will generate and send out an email informing you that a threshold has been reached. 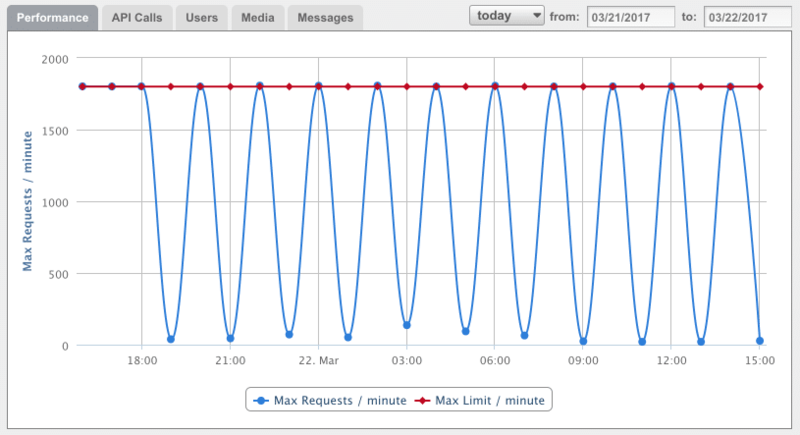 As you can see in the image above, the current limit for the app is 1800 API calls/minute and the app’s traffic stays right below the red line. When you get a notification about the 80/90% threshold, we recommend analyzing the trend of the incoming calls and assessing whether the limit should be increased. It may be a one off occurrence of the traffic spike or a consistent growth of the volume of calls. The default email address used by Backendless is develop@backendless.com, which is an automated account – we do not actively monitor incoming emails there. 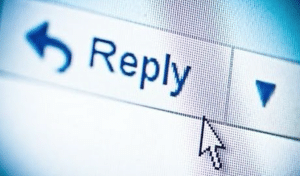 If you do not change the email address in your Backendless account and a user replies back to any of the emails listed above, the response goes back to the inbox for our automated account. We see a lot of applications which are published to app stores where email address is not changed. As a result, you are missing direct communication received from your users. To avoid this, it is recommended to change the email address per the instructions in our documentation. The version 4 of Backendless is getting quite close to be released in Backendless Cloud. We are in the final stages of testing and it should not take very long for you to see and experience the new version online. 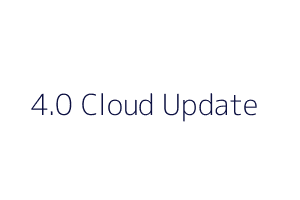 The initial release of 4.0 in the Cloud environment will be a Beta. We anticipate to keep 4.0 in Beta for about a month. During the Beta, you will be able to create new apps in both the 3.x (the current release) as well as the 4.0 environments. We added a nice backend version toggle so you will be able to switch between the version. Once the 4.0 is released out of Beta, it will be the default version and all new apps will be created in version 4. If you have an app in 3.x, you will still be able to run it there. I am very excited about version 4, it is quite an enjoyable product. I am sure you will share that opinion with me once you try it out. Please stay tuned for more updates. p.s. the future is Codeless..
One of the new features we added in Backendless 4.0 is support for custom code generators. We already have multiple code generators which can create complete client-side projects for Android, iOS and JS with just a few button clicks. Ability to add your own custom generators greatly expands the possibilities. This change will go in effect when the 4.0 version becomes available in the Cloud. There will be an additional blog post 24 hours before the release is switched on.